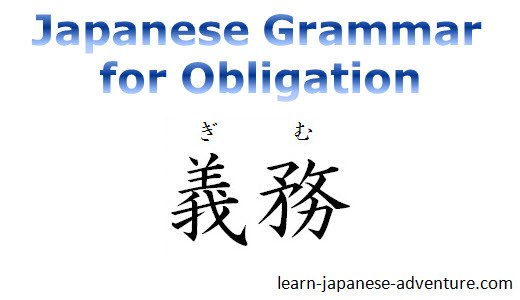 In the previous lesson, you have learned the Japanese grammar on permission (you may do something) and prohibition (you must not do something). In this lesson, you will learn grammar on obligation (you must do something) and no obligation (you don't have to do something). It's always much easier to understand the grammar with the sentence patterns than to explain in plain words. The two grammars are formed by using ない-form (nai-form). Although the grammar Verb (ない-form ない) なければいけません is in negative form (～ません), its meaning is positive (you have to do ~). On the contrary, though the grammar Verb (ない-form ない) なくてもいいです is in positive form (～です), its meaning is negative (you don't have to do ~). Meaning: You have to get up early. Meaning: You don't have to get up early. Meaning: You have to go to school. Meaning: You don't need to go to shcool. Meaning: You have to do homework. Meaning: You don't have to do homework. Meaning: You have to take the medicine in the morning. Meaning: You don't need to take the medicine in the evening. How do you ask a question whether you need to do something? And how do you answer the question? I think you should have known the answer. It's easy, right? 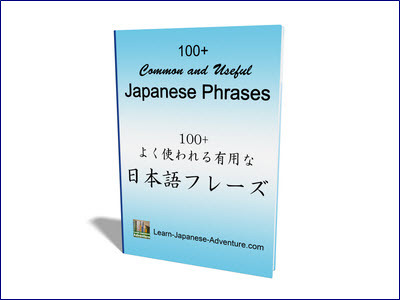 Just add the question word か (ka) to the Japanese grammar. Since this is a Yes/No question, the answer should begin with はい (hai) or いいえ (iie). Verb (ない-form ない) なければいけません - I have to do something. Verb (ない-form ない) なければいけませんか - Do I have to do something? Verb (ない-form ない) なくてもいいです - I don't have to do something. Verb (ない-form ない) なくてもいいですか - Don't I have to do something? Don't I have to do something? As mentioned in the last lesson, "はい (hai)" in Japanese actually means "I agree with what you said" and not simply a direct translation of "Yes" in English. Similarly, "いいえ (iie)" means "I disagree with what you said" and not directly translated to "No" in English. Let's use an example to explain both the positive and negative questions and answers for this Japanese grammar. Meaning: Do I have to write in Kanji? Meaning: Yes, you have to write in Kanji. Meaning: No, you don't have to write in Kanji. Meaning: Don't I have to write in Kanji? The tone is too strong when you are answering with Verb (ない-form ない) なければいけません - "You have to do something / You must do something". It's normally used by parents to children or teachers to students. If you are answering to your superiors, boss or customers, it sounds too rude. Therefore when answering to your superiors, boss or customers, you will normally use the Japanese grammar in request form "Verb (て-form) ください" to be more polite. In the previous example, use 書いてください (kaite kudasai) to replace 書かなければいけません (kakanakereba ikemasen) to make it more polite. When to ask Positive Question or Negative Question? Both positive question and negative question will be used depending on situation. For example, in a test, everyone is using pencil to write one's answers except you, who want to use pen. In this situation, what would you ask your teacher? Meaning: Do I have to write in pencil? Meaning: Don't I have to write in pencil? In this situation, it seems like you have to use pencil since everyone is using pencil. Therefore you should ask the positive question "鉛筆で書かなければいけませんか。 - Do I have to write in pencil?" After the test, when you submit your paper to your teacher, you saw that no one has written his/her name on the test paper except you. Everyone only wrote down his/her serial number. You are surprised. You thought you must write your name and serial number on the test paper. In this situation, what should you ask your teacher? Meaning: Do I have to write my name? Meaning: Don't I have to write my name? In this situation, it seems like it's not required to write your name on the test paper since everyone only wrote his/her serial number. Therefore you should ask the negative question "名前を書かなくてもいいですか。 - Don't I have to write my name?" 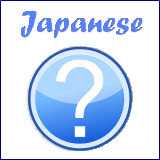 In general, you can use either of the Japanese grammars as both of them have the same meaning. 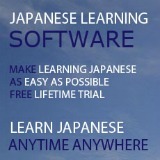 However, native Japanese use them with slight difference. For ～なければいけません (~nakereba ikemasen) - you want to do something and you think that you have to do it. For ～なければなりません (~nakereba narimasen) - you don't want to do something but you have no choice and have to do it. So normally, this is used when you want to make excuses. Meaning: I am sorry. There is an exam tomorrow, therefore I have to study tonight. In fact, the Japanese grammar ～なければなりません (~nakereba narimasen) is more commonly used by native Japanese than ～なければいけません (~nakereba ikemasen).